Daniella is a highly experienced psychotherapist with a passion for facilitating your personal empowerment. She is particularly skilled helping people identify and fulfil their personal potential, both as individuals and in relationship. She has a unique capacity to help clients identify and implement life-lasting solutions for overcoming the challenges they face, in work/life balance and relationship areas. Through her 9 years of considerable experience as a therapist in private practices, and in developing and managing both charity and NHS therapy services, Daniella has helped individuals from all walks of life. Daniella can help you achieve successful outcomes in the following areas: Personal empowerment, finding life purpose, relationship issues, stress, anxiety, depression, self esteem issues, work issues, bereavement and mid-life crisis, trauma, abuse, substance dependence (drug and alcohol) and OCD. Daniella previously established and lead counselling services for the NHS. Daniella is a qualified Integrative Psychotherapist with an MA and Advanced Diploma in Integrative Psychotherapy and Counselling. She is trained in: Cognitive Behavioural Therapy (CBT), Solution Focused, Motivational Interviewing, Humanistic and Psychodynamic therapies. She has also undertaken additional specialist training in: substance misuse, trauma, bereavement, group therapy and brief therapies. 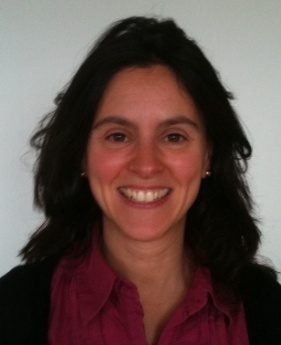 Daniella is an accredited member of the United Kingdom Council for Psychotherapy (UKCP). Membership No: 7159206.